Have you checked the forecast lately? It looks like most of the country will be dealing with rainy days ahead. Unlike Gene Kelly, I do not like getting wet - and will not be joyfully singing in the rain. Instead I will be trying to stay dry and deal with the weather's wretched mood swings. But just because there will be dark skies in our future doesn't mean that it should dampen our fashion sense. 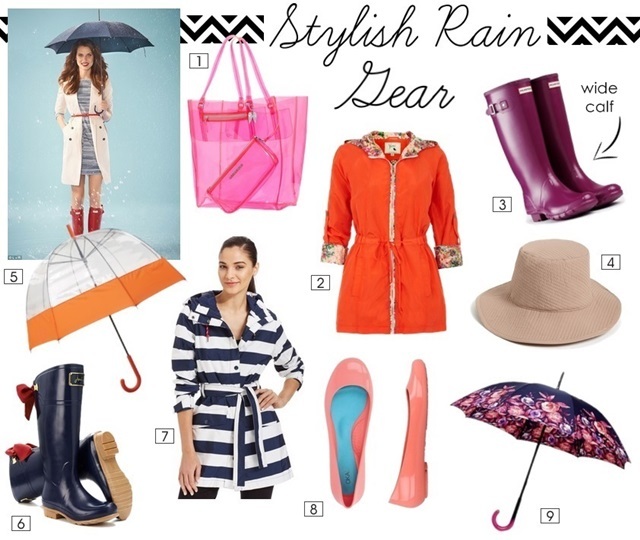 Here are some fab rain gear to be beat the rainy blues!